Merry Greetings everyone, Danesa here. Has the Christmas festivities begun for you yet? It is well into action here with decorating, shopping and baking. And, I had the most wonderful vacation, stowed away in a cabin, because of an unexpected snow storm, in a pristine white winter wonderland, for a few days. Relaxing, reading books, putting puzzles together, and memory reflections were enjoyed around the fireplace, as we had no electricity or wi-fi and long snowy walking adventures. It was wonderful. Now, its time to buckle down and get busy. How about you? 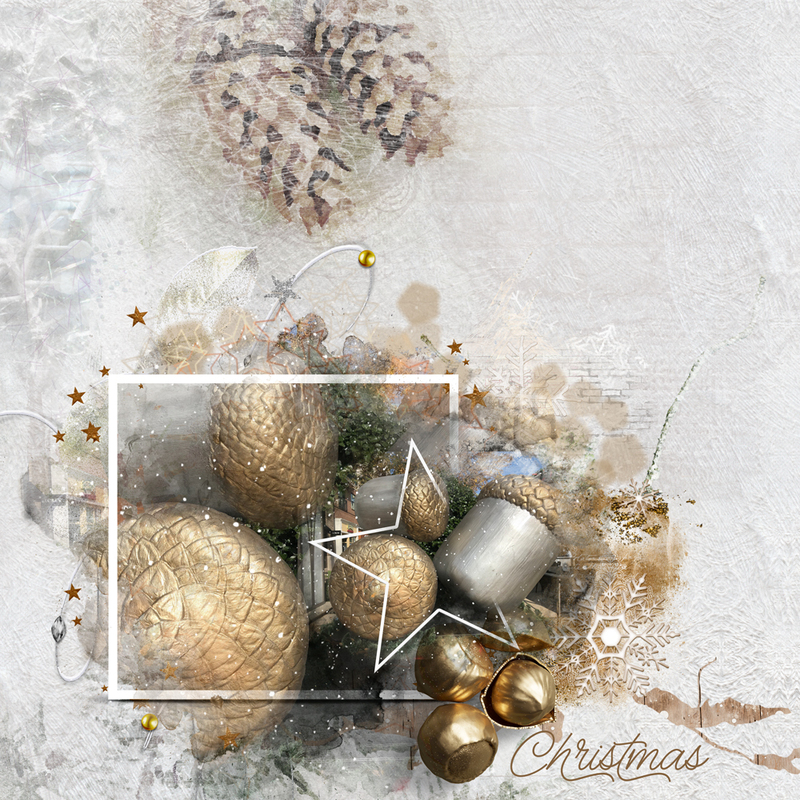 Nicole’s newest White Christmas Collection will meet all of your winter and holiday digital needs. 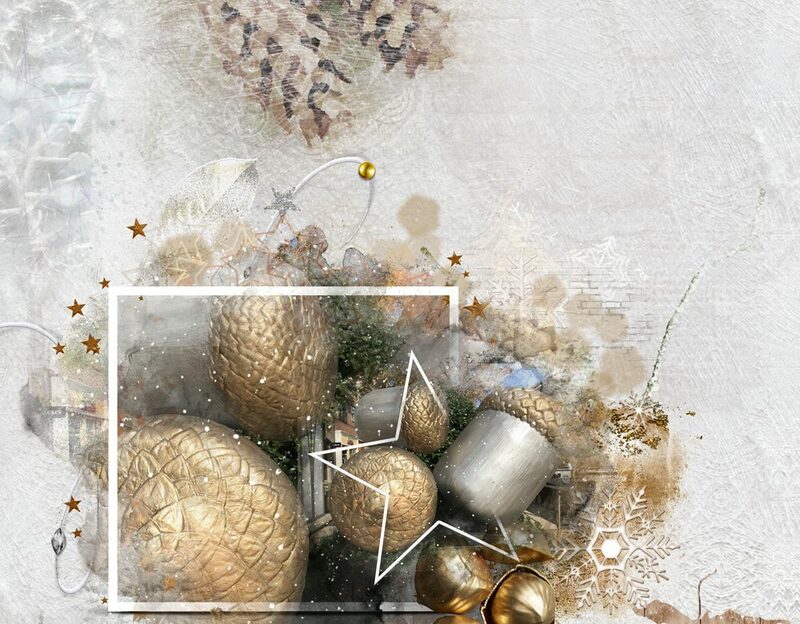 It is full of texture, golden glitz, winter whites & beiges, festive trees, snowy branches that are perfect to dangle some baubles from and so many more wonderful items. The watercolor background papers are magical and the winter overlays really help blend your papers and/or elements together beautifully. I started my layout off by using one of the splendid watercolor background papers. I used three different page overlays, using a different style on each one. I brought in two of the Out of the Box frames and added my large acorn photos to them. Behind the photos I added some additional warm glow by adding magic lights. I added a few silver leaves, artsy bits & pieces, wordart, and some gesso pieces and I think it all blended beautifully to show off one of my Christmas vignettes.